Up to four players can enjoy bingo using numbers, quantity, and colors. This is a game for up to four players. 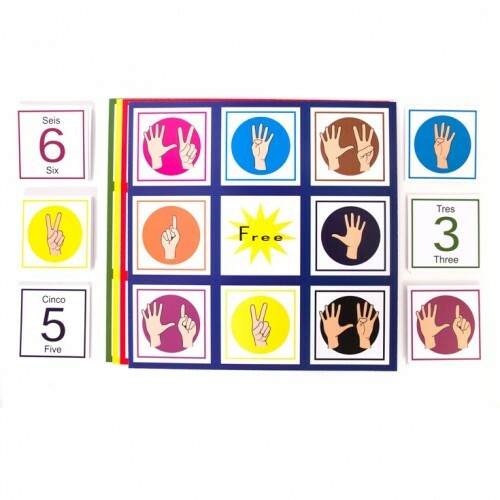 It includes four two-sided bingo boards, each board in a different color. One side of the board is a finger pattern and color for beginning players. The alternate side is the corresponding number, number word and color to be used by advanced players. Thirty three two-sided bingo squares are used to get a BINGO! Is your student or child beginning to show you their age on their fingers or how many cookies they would like? That is what inspired us to make ArithmaKids bingo. 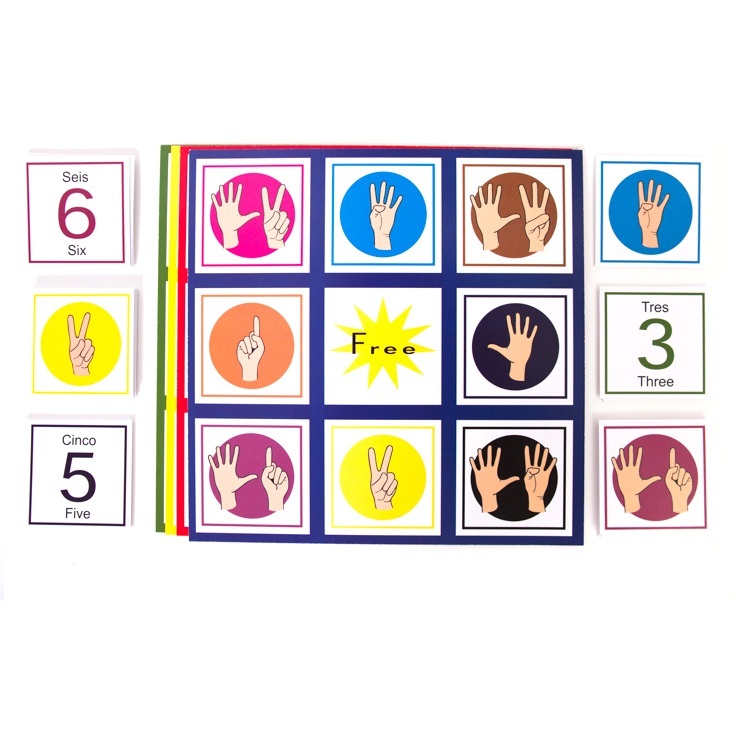 We made an early-childhood finger pattern game that encourages finger patterns, number recognition that incorporates color. The finger pattern side is perfect for your new counter, while the opposite side is great for next step of reading and writing numbers. ArithmaKids Bingo can be used in small group, one-on-one and as a carryover game for at home. Students are working on colors, finger patterns and the written and symbolic representation of each finger pattern.